I'll let you in on a little secret today: I had cake with ice cream for my birthday the other day. It was a delicious gluten-free mix. I also ate York Peppermint patties that week. It's a birthday tradition that I've celebrated since I was a kid. Yup, I'll probably have a few more pieces of candy on Halloween next week. 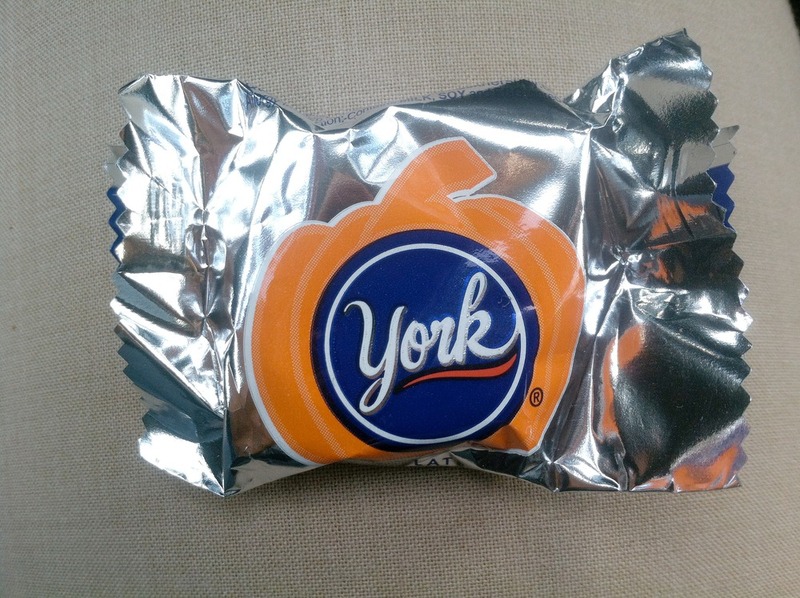 York peppermint patties and Reese's have always been some of my favorites. Of course, I know there's a few different types of sugar, preservatives, and probably GMOs in them. Candy is processed food. Candy isn't a whole, nutrient-dense food. I don't eat a 100% real foods, sugar-free, GMO-free, local, and organic diet. I'll admit it. That would take a lot of time and energy, and I choose to enjoy food as pleasure too. I prefer to live life. If I can eat a real foods diet 80-90% of the time, I feel amazing. A few pieces of candy over a few days isn't going to destroy my health or life, especially if I'm actually enjoying it. I also know how much will impact me because a lot of sugar will give me a stomachache and headache. When I listen to my body, I can tune into these cues and make a decision about choosing to not overdo it on the sugar because I'm much happier without feeling sick to my stomach. There's no judgment about how much I do eat - it's just about listening to what my body is telling me. Online, you can find so many bloggers that encourage eating whole foods. Even I do. You see delicious recipes and meal plans they make for their families and wonder how they have time to do that AND blog AND workout AND work AND raise kids. The secret is you're only seeing a snapshot of their life. It's easy to take the extreme view online. People like a little controversy. The problem is taking the extreme view seriously may trigger extreme actions. You may start out by simply switching from boxed meals to homemade, real foods meals. That's a great change, but then, you restrict sugar, gluten, dairy, grains, and nightshades, and only eat superfoods. I agree that some people may need to restrict some or all of these, but that's an individual decision based on their health. It's different when people are choosing to restrict these foods in an effort to lose weight, "eat clean," or just follow what their favorite bloggers are doing. Be honest with yourself and those around you. If you want to encourage others to eat a real foods diet, show them how it's done by cooking for them. Don't sit there and lecture someone about the dangers of the processed foods they're eating. People will only change when they are ready to change. They may not know how to cook vegetables or have never tried many of the real foods out there. Let them know that it's all about progress and balance. Eating a piece of candy on Halloween or savoring a piece of pie on Thanksgiving is totally okay. If you fill the other 90% of your diet with real, nutrient-dense foods, you're going to feel great. Nutrition is just one piece of the puzzle. Mindset is arguably just as important. Enjoy life, and savor all the food you eat. If you choose to celebrate Halloween with some candy, eat your all-time favorite candy. Savor each bite. Don't let guilt creep in the next day. Of course, you could also make your own Halloween candy. This gummy worm recipe sounds fun for kids to try. I think I'll stick with a small Reese's or two, and call it a night, though.